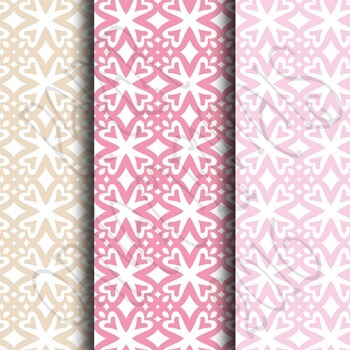 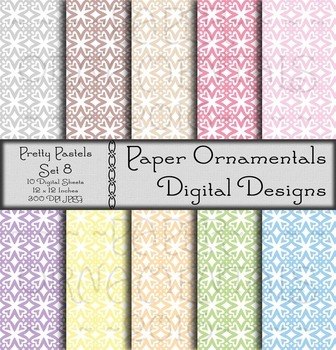 This Pretty Pastels Set 8 digital paper pack, containing my own original designs and patterns, works great for scrapbook projects, digital backgrounds and printables. 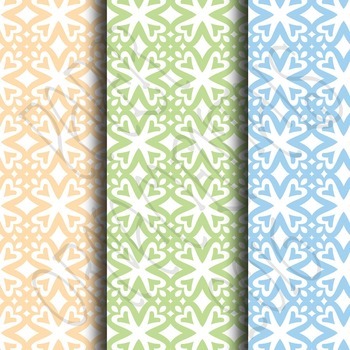 It contains pastel tints of green, pink, red, blue, orange, yellow, brown, tan, gray and lavender in symmetrical geometric and organic shapes. 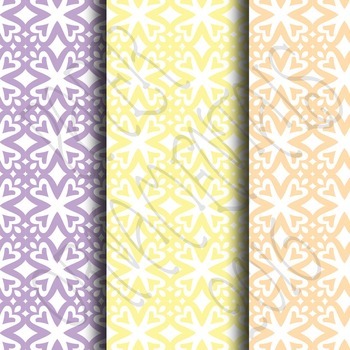 Useful for classroom décor!